So yes, there’s a difference (just audio vs all kinds of content). Since AirTunes is the predecessor of AirPlay you can still use older hardware (like an old AirPort Express) in your network and mix them with new AirPlay hardware like an Apple TV (see screenshot). This means, that those AirTunes receivers still work like they should (you can send audio to them), although nowadays everyone talks about AirPlay. 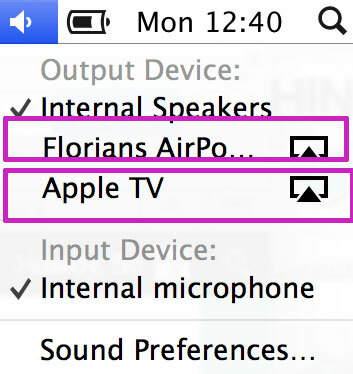 Previous Previous post: Does my Mac support AirPlay Mirroring? Soooo irritated with Apple because they don’t work together AT ALL!! !